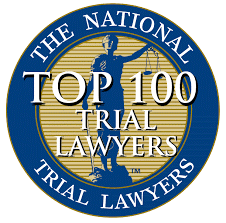 David J. Zappitell, the firm’s founding partner, attended Michigan State University and the University of Miami School of Law where he was moot court champion. Mr. Zappitell has worked for General Electric as a financial analyst – he understands the value of every case. Mr. Zappitell is Board certified by the Florida Bar in the area of Civil Trial Litigation, thus he is a specialist in his area of practice. Mr. Zappitell is a member of the Florida Bar, U.S. District Court (Southern and Middle Districts of Florida) and has been a repeat guest lecturer at the National Business Institute Seminars regarding the technical issues surrounding Uninsured Motorist Insurance coverages. 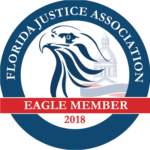 Mr.Zappitell has been a guest lecturer at a round table discussion regarding elderly people with the Palm Beach Guardianship Association, and is also listed in Who’s Who in Executive and Professionals. 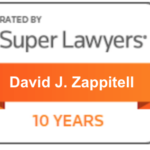 For the past 10 years, Mr. Zappitell has been listed as a “Super Lawyer” by the Miami Herald as chosen by his peers (Top 5% of attorneys in Florida) and has been selected as one of the Top 3,000 Plaintiff’s Lawyers in America. Mr. Zappitell is a founding member of the Wall of Tolerance Monument, serves on several Boards and Lectures to Schools as a Children’s Safety Advocate. Mr. Zappitell is a past president of the Boca Square Civic Association, current member of the Palm Beach County Bar Association, Palm Beach County Trial Lawyers Association, American Justice Association, Florida Justice Association (EAGLE), and American Bar Association, a past presiding Judge at the Association of Trial Lawyers of America trial competition, sits as a Board member of one national corporation and several local not-for-profits, and has achieved significant settlements and verdicts in all areas of personal injury. David Zappitell can also assist with claims related to the Broward County False Claims Ordinance. Mr. Zappitell is married and has three children.